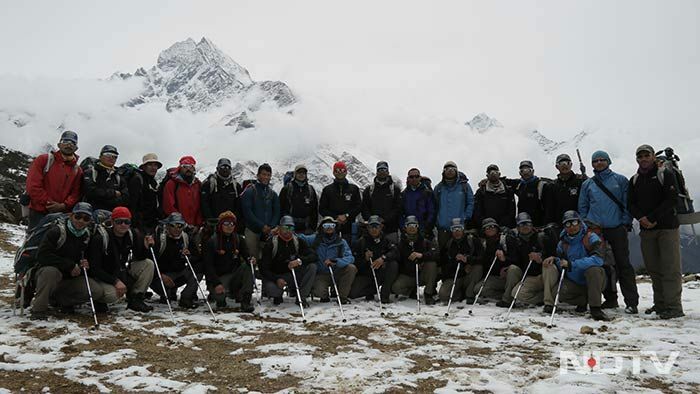 30 soldiers of the Indian Army decide to climb the highest peak in the world. However, their plans go awry after a series of devastating Earthquakes hit Nepal on the 25th April, 2015. The 7.8 magnitude earthquake shook the entire Nepal region, and this time it didn't even leave the Base camp, considered to be a place where no avalanches have been recorded till date. The avalanche was so massive that it swept away the entire camp area leaving heaps of debris but the Indian Army continued their journey. Here's a look inside Indian Army's courageous journey. 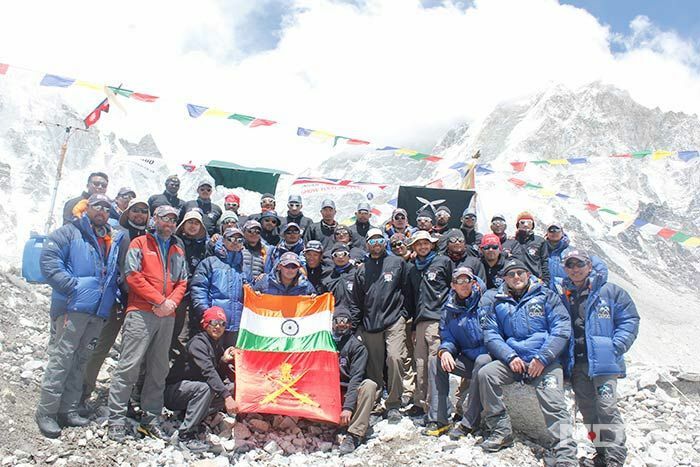 The Indian Army team of 30 climbers was very excited for the summit but their excitement didn't affect their determination. The team, after attaining some heights, took halts for some hours at Khumjung region of Nepal and continued their journey to the Mount Everest. The base camp looks striking when sun sets and darkness comes as a disguise! 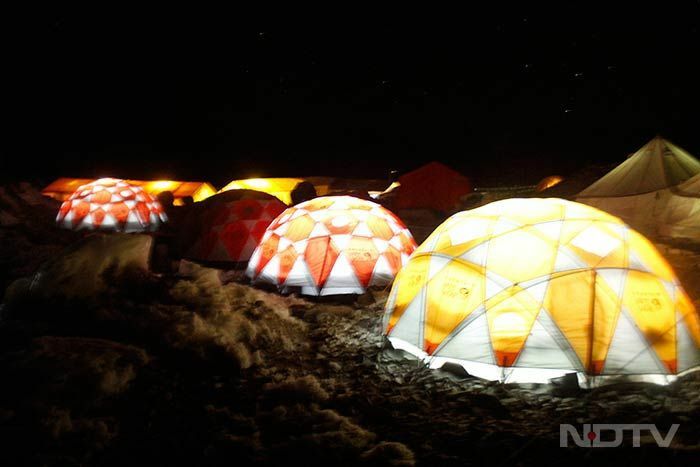 Multicoloured tents with bright lights look astonishing. Sagarmatha Zone - The goddess of Everest is the sole deity which the Sherpa community believes in. 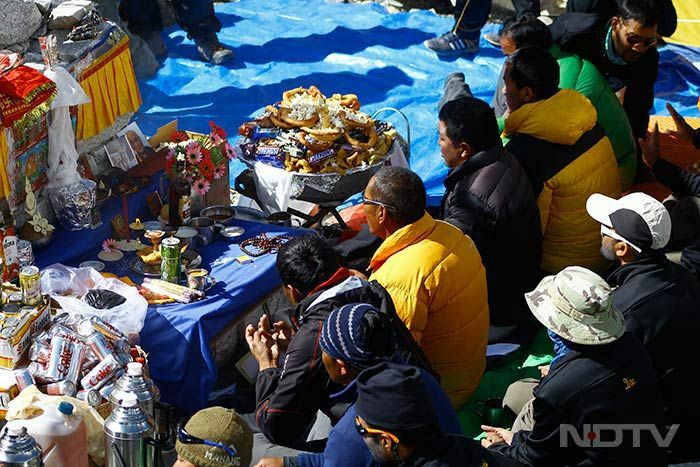 As per their belief, one should never climb Mount Everest without performing Sagarmata pooja. It is only after her blessings, a climber is allowed to touch the Khumbu glacier and start his summit. 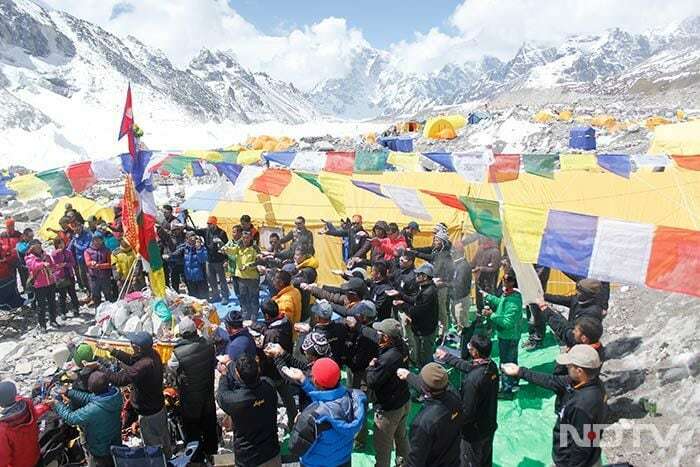 Every team had to perform a pooja ceremony to evoke the goddess of Everest - Sagarmatha. The lamas recite age old mantras from Tibetan manuscript and offered all the equipment and mountaineering gears to her during the pooja. The Base camp is a global village, where people from all around the world gathers and acclimatize for weeks. Each group gets along with other team and share their culture; heritage and feeling of togetherness and unity. Far away from their native place, for the coming months, base camp becomes their home and the different teams become their family. 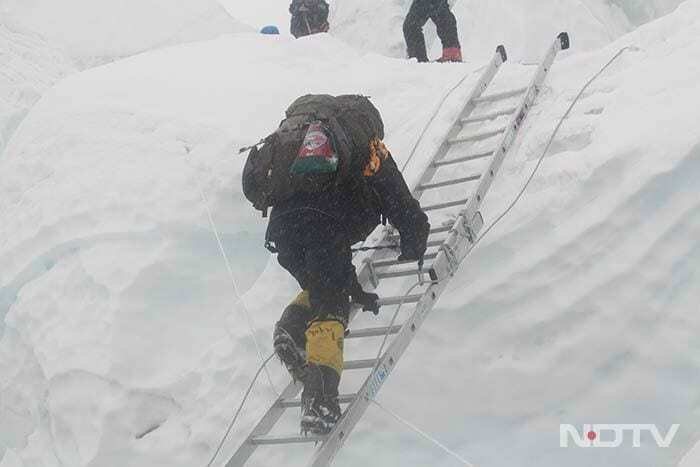 The trekkers practiced climbing aluminium ladders wearing crampons which are very industrious for the team. 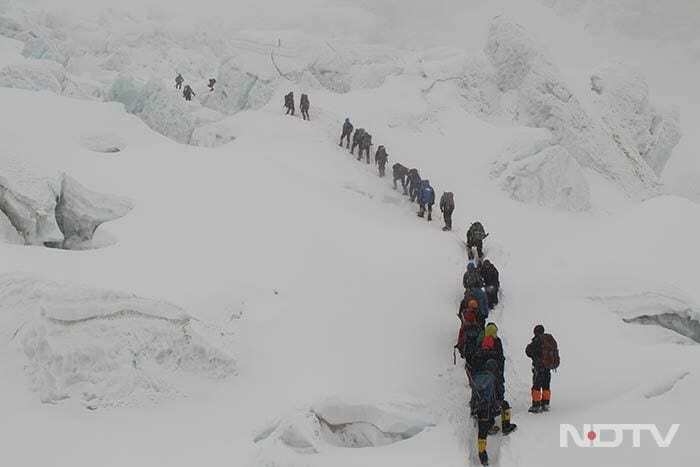 The team has to walk through the toughest routes to reach the 8848 meters elevation. 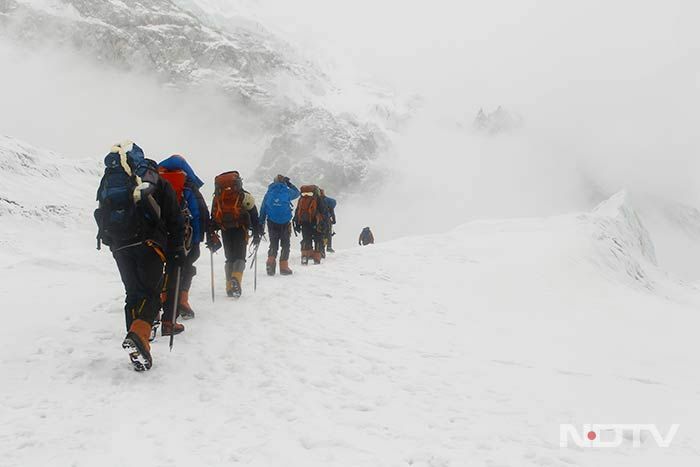 From climbing serac to walking through deep snow, the team faced various obstacles and hardship that too at a temperature where oxygen level falls drastically.